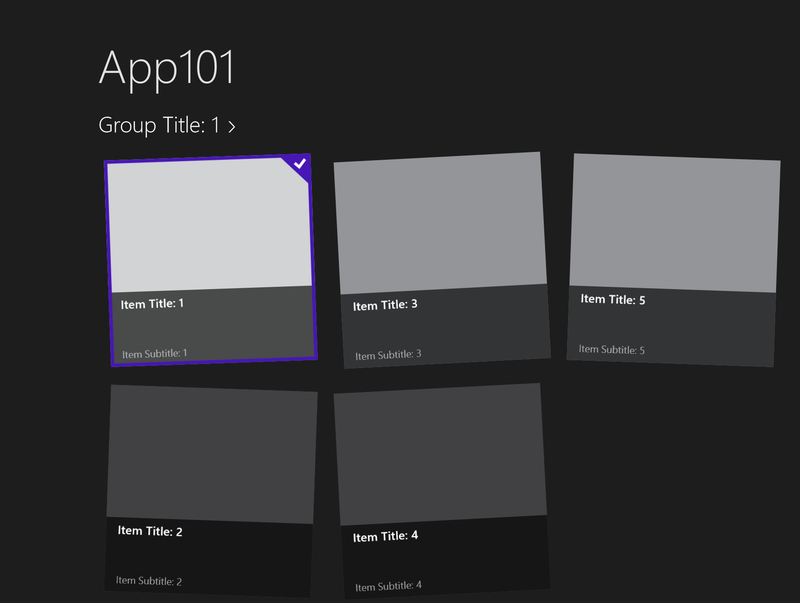 I'm working on a new Windows 8 Store app and in this app I needed a GridView in which the GridView items are rotated a few degrees randomly. In this blog I will explain how I implemented this using Styling and Templating and a few lines of C# code. The result of this all will look like this. Detecting when an Windows 8 Store app is deactivated isn't as easy as you would expect. In the Windows Phone project templates you get the Application_Launching(), Application_Activated(), Application_Deactivated() and Application_Closing() methods in the App.xaml.cs. But those methods don't exists in the Windows Store project templates. There is an OnSuspending() method but you can't use it to detect deactivation. You use it to store your data when suspending the app. This will problably go off a few seconds later than deactivation. There are a lot of examples on the web how you can add Search Suggestions to the Search Charm of a Windows 8 Metro application. But all the examples I found only demonstrate how to implement a synchronous version. In this blog I will show you how you can do this also asynchronous. I use this technique to fill my Search Suggestion by calling a web service asynchronous. Something which is very common because your data will problably be stored in the Web/Cloud. In my previous blog post I explained how you can use the PaneThemeTransition from the Animation Library to show a task pane. In this blog post I want to use this technique to open my Settings and About task panes from the Settings Charm. I will try to make it easier by introducing a TaskPanePopup helper class.